Cannabis is expected to be a multi-billion dollar industry. According to Fortune.com, the legal marijuana industry grew to $10.4 billion in the U.S. in 2018 and employed more than 250,000 people. According to Beau Whitney, senior economist and vice president at analytics firm New Frontier Data, investors placed $10 billion into the North American legal marijuana industry in 2018 (just $5 billion was invested in the three years prior) and he believes investors will funnel more than $16 billion into the industry in 2019. More states are voting to make recreational marijuana legal. Sick patients are discovering that it alleviates pain, drug addiction symptoms and other ailments. Legislators are able to tax the crop (which helps them bring in more revenues). There are a myriad of ways that people are making money from the cannabis industry. People aren’t just selling the herb itself. They’re selling food products, seeds, oils, legal and accounting services, lights, and more. In fact, I know someone who is selling human resources and employee training services within the cannabis industry. Where will you get funding? 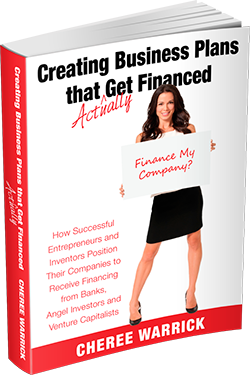 Banks will say no so you’ll either need an investor or must fund your own business. If you’re looking for an investor, they care about the risk of you closing shop before they get their money. Clearly outline the market opportunity. Discuss what’s happening in your city (locale) as well as your state. If you will have a dispensary in a specific retail location, discuss how many people within a 5-10 mile radius would purchase products from you. Tell the investor how many patrons or clients you want to serve daily/weekly/monthly. If you’re a dispensary, you may focus on daily sales. Your dispensary, for example, may serve 150 patrons daily with an average purchase of $25 per person. You will be open 365 days per year (assuming no time off for inclement weather or holidays). Therefore you will make $1,368,750 in gross revenues. **I will warn you to account for some holidays and days off – even if you live in sunny California. Calculate how many patrons you need to meet your goals. If 2,100 patrons come to your dispensary twice per month, you would reach your revenue goals. What’s your marketing plan? How will you encourage 2,100 patrons to be loyal customers and visit you twice per month? Writing a simple, yet effective marketing plan is the key to success. Discuss who’s on your team. Team members are not just employees. It’s anyone who will help you grow your company and stay out of trouble including general manager, marketing professionals, legal professionals, accountants, and more. What’s your operations plan? There are many legal restrictions within your industry and an investor will want to know that you have thought about banking, human resource, security, and other issues that may arise. Who’s your competition? If no other marijuana dispensers are in your locale, that doesn’t mean you have no competitors. Have you ever heard of Aleve or opioids? Both of these are strong competitors. In addition, you need to think about future competitors that will surely come to your city (especially if you’re making a ton of cash). What’s your competitive advantage? Competitive advantages can be product based or business based. For example, if you have hired a social media marketer who helped grow a previous startup from zero to $50 million, then that’s a competitive advantage. Perhaps your competitive advantage is your location. It could also be your product (which is patented or has something special). No matter what, every business must acknowledge its competitive advantage. Show a realistic financial forecast which includes the amount of money you need to start your business, any additional cash infusions you’ll need to grow, and how much profits you expect over a 3-5 year period. Remember to include expenses like payroll, insurance, and security. How will the investor receive his money back? What’s your payback plan? Does he receive a portion of net profits? Revenues? Is it a loan where you pay him back principal plus interest on a monthly basis? Outline how an investor will be repaid. Addressing the investors’ business concerns gives you the best chance of success. If you need help writing a business plan for a real estate investment fund, I would love an opportunity to assist you. Please contact me at wewritebusinessplans.com.